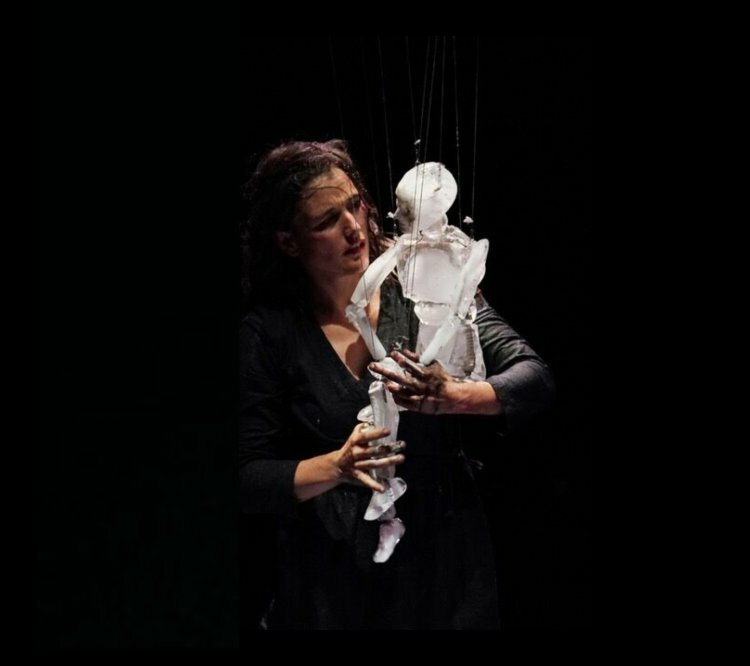 King Oedipus, a marionette made almost entirely of ice, sets out on a redemptive voyage accompanied by his daughter Antigone, their long passage punctuated by poetic visions of water and fire, shadow and light. Rejected, hurt and alone, the blind king abandons his throne and takes to the road with his guide Antigone - a puppeteer in human form dressed in a protective felt cloak. As they walk across misty landscapes, his metamorphosis is conveyed by his melting physical state until they reach the crossroads of the world and he disappears from sight. Featuring a wondrous, luminous ice puppet made anew for each performance, Anywhere is freely adapted from the book, Oedipus on the Road, by Belgian author Henry Bauchau. Combining animated elements with ephemeral materials, Le Théâtre de L’Entrouvert have devised a captivating show that contrasts delicacy and strength, silence and sound.